The doctor selected the luxurious Pelton & Crane Spirit 3000 chairs and Helios 3000 lights after a VIP tour of the manufacturer’s facility. How do you progress from attracting fewer than 35 new patients per year to more than 35 new patients in a month? 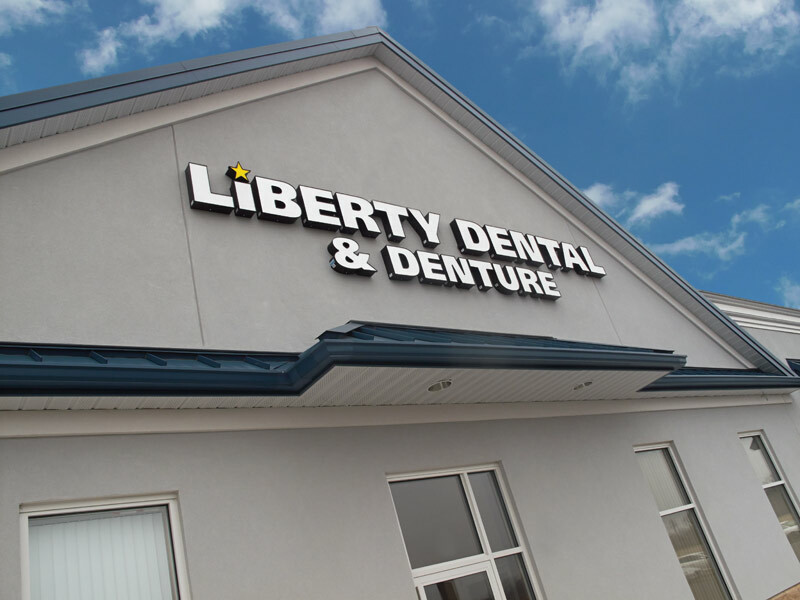 Dr. Louis Carratola, of Liberty Dental in Fremont, Ohio, attributes it to one thing: his magnificent and very functional new office, which opened in February 2013. 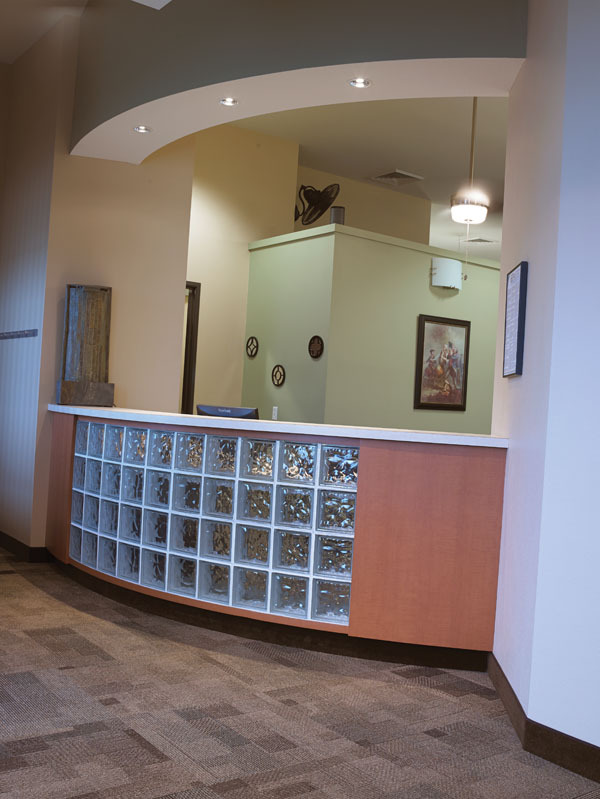 The 3,000-square-foot general dentistry practice allows him and his staff to practice exceptional dentistry and offer expanded capabilities such as same-day restorations and conscious-sedation dentistry to patients in a beautiful, state-of-the-art space. Dr. Carratola’s story is not unlike many doctors who chose to build a new office. He took over a relatively stagnant dental practice in downtown Fremont, a rural area on the Sandusky River. The small office itself made growing the practice a challenge. It was difficult to deliver adequate patient care in operatories that were barely seven feet across! Although he did use Dentrix practice management, he did not own any digital imaging, the equipment and delivery units were 15–30 years old and cobbled together, and there was no room to integrate new technology. The roomy reception area seats 15 comfortably and the glass block embedded into the front desk adds architectural interest. 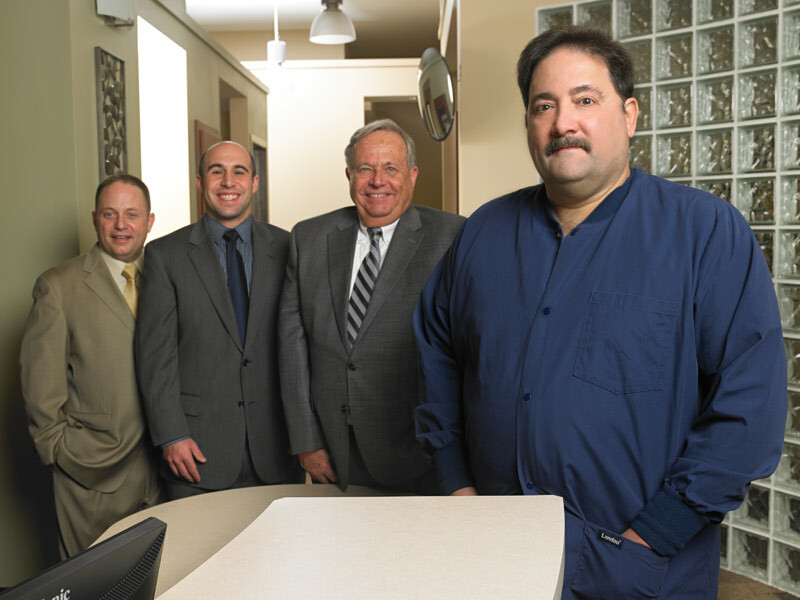 In spite of the physical limitations, within a year, Dr. Carratola had grown his practice significantly and knew he needed to relocate to a newer, more modern office that would allow him to incorporate cutting-edge equipment into a setting that catered to patients. Henry Schein Field Sales Consultant Tony Miskow contacted Dr. Carratola when he first bought the practice, and over time, built a relationship with him. When the doctor began considering a new office, Mr. Miskow introduced him to Equipment & Technology Specialist Chuck McGill. Pelton & Crane rear delivery units are ergonomically friendly for doctor and staff and hold KaVo handpieces. In addition, he was able to take advantage of financing through Henry Schein Financial Services, simplifying the purchase of his new equipment and technology. 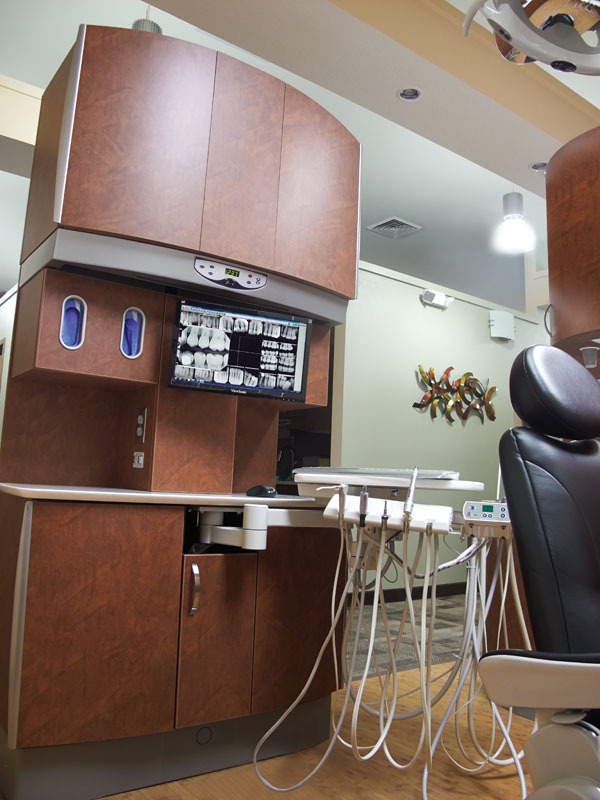 The VistaPure water system and the Planmeca PlanScan in-office milling system are showcased so patients can see for themselves how committed Dr. Carratola is to high-quality, state-of-the-art dental care. Together they began scouting the area for an ideal location. The building was set in a high-traffic, growing area of the city with excellent visibility and accessibility. Construction began in early 2013, but it was blown off schedule—literally—when a tornado whipped through the area and took the roof with it. Steel was ordered to replace and rebuild it, but not before construction was delayed for two months. With its four treatment rooms and two hygiene rooms, the design and functionality of the office, as well as its warm aesthetics, made it worth the wait! 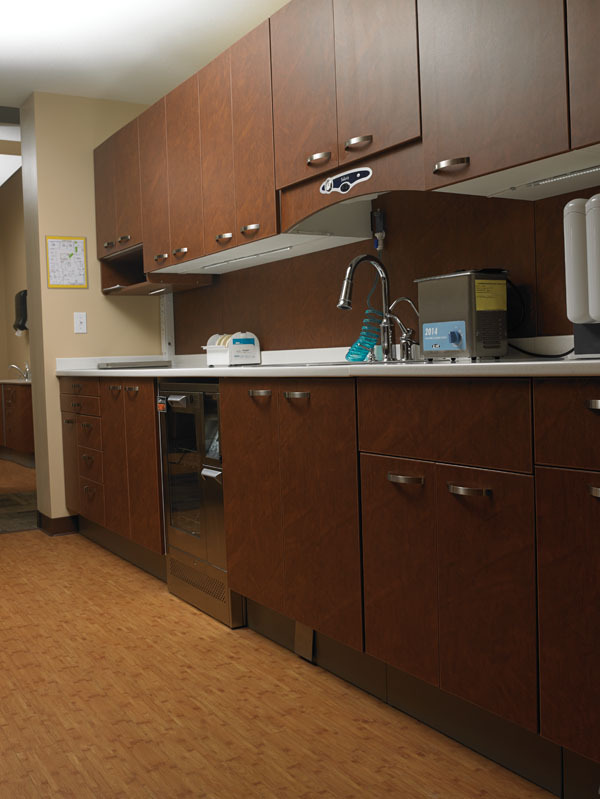 The galley style, walk-through sterilization center was designed to maximize production and patient safety, while making it very accessible to staff. At the Pelton & Crane facility in Charlotte, Dr. Carratola received the VIP Tour. While there, he and Mr. McGill attended Dr. Mark Tholen’s Driven to Excellence seminar, a valuable service offered to Henry Schein customers who are building new offices. 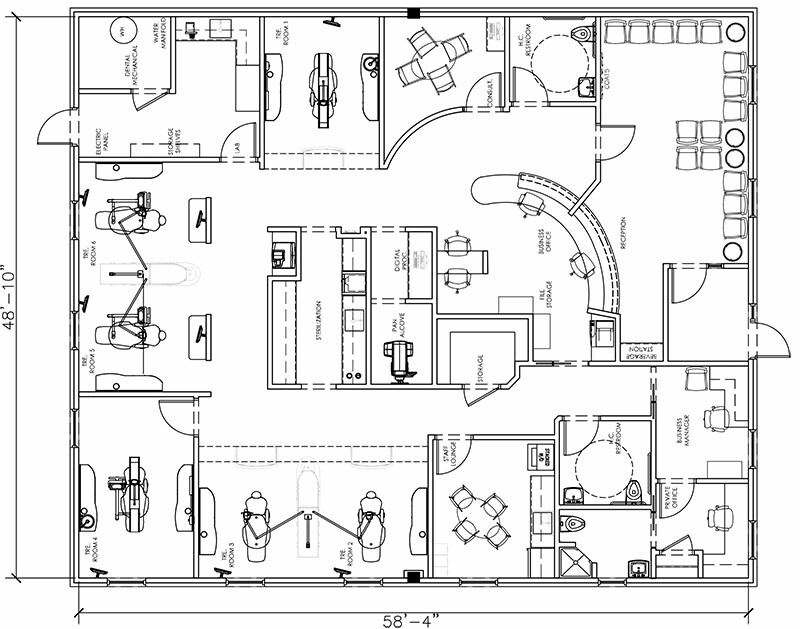 This in-depth seminar helps doctors wade through all of the considerations and decisions that need to be made when building a new practice, and it helps them construct the most productive office possible by using best practices in office layout and design. I interviewed all of the major equipment companies and soon found that Henry Schein offered the best mixture of technology, equipment, and installation services,” recalls Dr. Carratola. The Instrumentarium OP300 Cone Beam unit, set in a separate alcove, delivers precise digital images that assist the doctor in complex diagnoses and integrates perfectly with the doctor’s Dentrix practice management software. Patients enter a roomy reception area that comfortably seats 15 and offers a beverage station. The glass-block reception desk is eye-catching and provides the first hint of the modern style displayed throughout the office. The check-in and checkout areas are separate, allowing greater privacy for patients and a smoother flow to the office. The business office is also generously sized, and there is a separate consultation room, business manager’s office, and small personal office for Dr. Carratola. Plus, there is a large employee lounge with a washer and dryer, where staff can eat lunch, change their clothes, and simply take a break, luxuries not realized in the old space. The treatment rooms are uniformly sized and more spacious than those in the previous office. Two hygiene rooms and a surgical suite offer over-the-patient delivery, and remaining treatment rooms utilize rear delivery units. Each room is plumbed with nitrous oxide for patient comfort. Spirit 3000 chairs from Pelton & Crane, along with cabinetry and delivery units and Helios LED lights, ensure an optimal environment for the patient. The practice also uses KaVo handpieces and a soft-tissue laser. Dr. Carratola already used Dentrix practice-management software, and he was intentional about choosing equipment that seamlessly integrated with it. 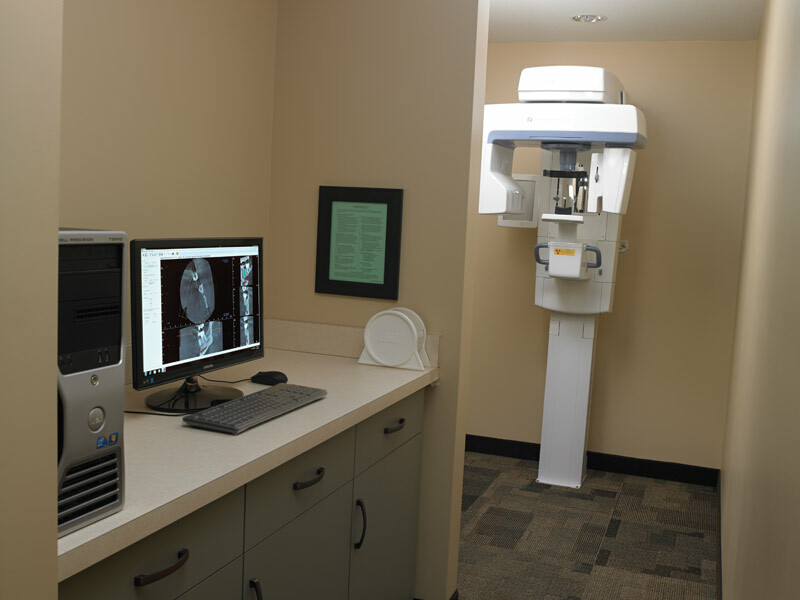 A Planmeca PlanScan CAD/CAM system, which allows the doctor to do same-day restorations, holds a featured spot in the office, behind glass, where patients marvel at how it works. In another alcove sits an Instrumentarium OP300 Cone Beam X-ray unit. DEXIS sensors are used to capture high-quality digital images chairside, and they provide greater comfort to patients. 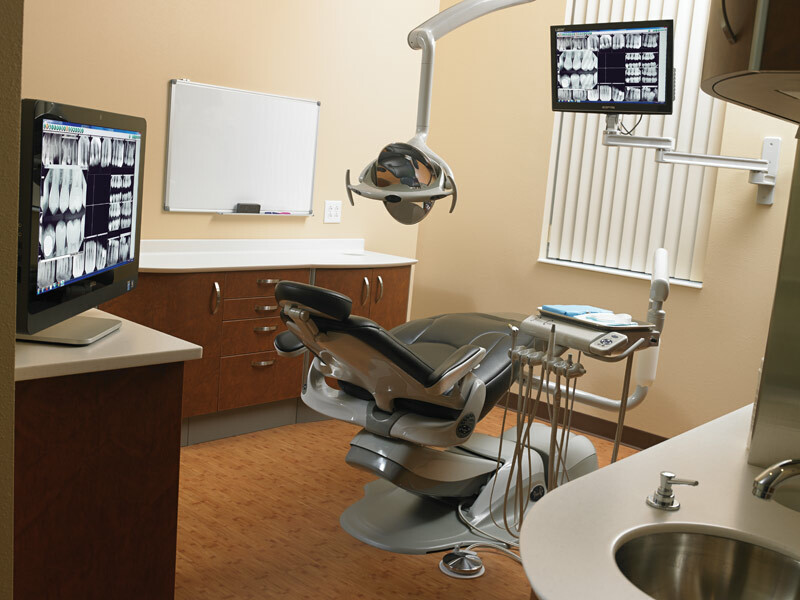 And, because of the expertise of Henry Schein’s TechCentral services, there is full Dentrix software integration of the computers and patient monitors. The centrally located laboratory and sterilization centers are both galley- and walk-through style, making them highly efficient and easily accessible. 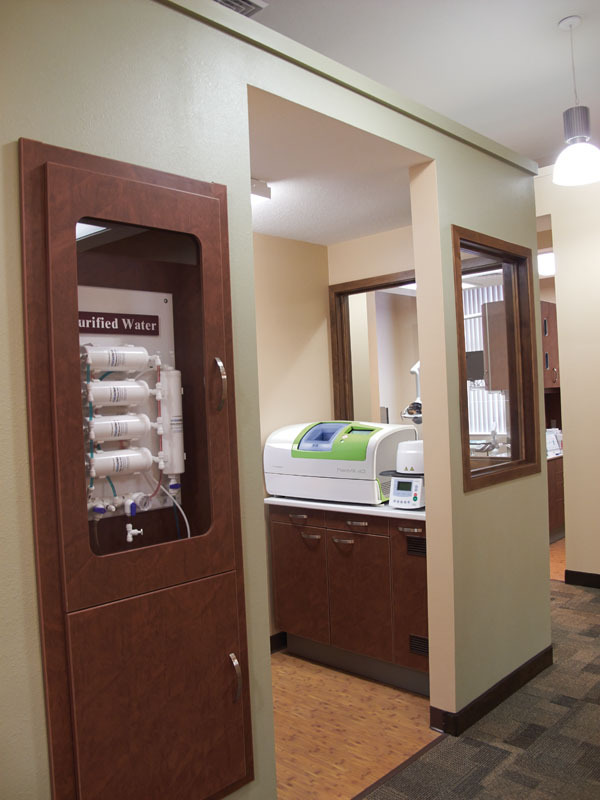 A VistaPure water system is set behind glass, similar to the PlanMill, creating a vivid display of the attention to safety and exceptional care offered by Liberty Dental & Denture. Now, with the office just a year old, Dr. Carratola is seeing remarkable growth. “Production has increased by more than 30 percent, and new patients are up more than 50 percent!” declares Dr. Carratola.